Adam Rippon, of the United States, competes in the men's figure skating free skate program during the Pyeongchang 2018 Olympic Winter Games at Gangneung Ice Arena. 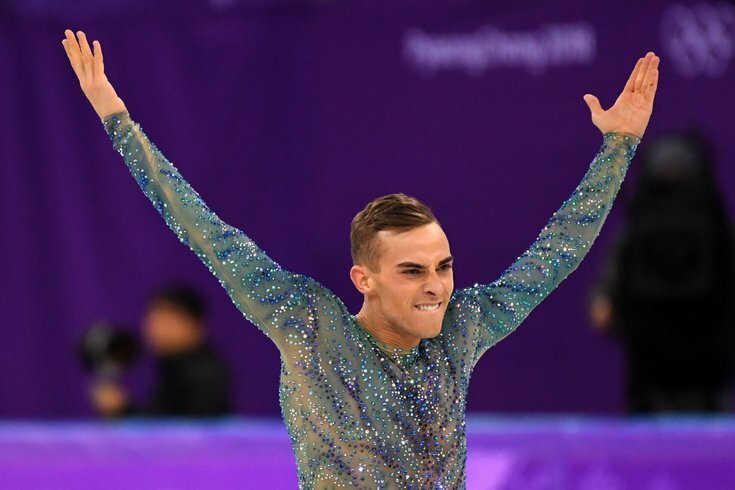 Scranton native and Olympic medalist Adam Rippon may be getting his second chance at a television gig. Page Six reports the figure skater is working on an unscripted series — aka a reality TV show — with talk show host Ellen DeGeneres. DeGeneres hinted that she wanted to pursue some sort of partnership with Rippon when she had him on her show earlier this month. "I love you so much. I don't know what I am going to do with you, but I am doing something with you. I want you to do something on the show, you're fantastic," DeGeneres told the 28-year-old. Rippon was actually offered a job covering the Olympics for NBC after he finished competing at the Winter Games in PyeongChang. He turned down the gig, citing a desire to be with his teammates for the remainder of the games. According to Page Six, DeGeneres wants to be taken seriously as a producer, and she has a track record of promoting those outside the mainstream entertainment industry. Recently, she made Temple senior Kalen Allen a regular on her show after interviewing him about his viral food commentary videos, “Kalen Reacts.” Allen has since relocated to Los Angeles as a part of Temple's study abroad program and is regularly creating content for the show. You can watch Rippon's recent interview on "Ellen" in the videos below.